Here lies the traditional notion of a salesperson. May it rest in peace, and may the rest of the world finally move on. It’s true: that person whose job was to ring your doorbell and try to sell you knives, books, and who knows what else is officially a thing you can tell your grandchildren about (though they’ll probably find it hard to believe). Sales and advertising have come a long way through the years. Nowadays, it’s not enough anymore to focus on the product and how great it is to make a sale. 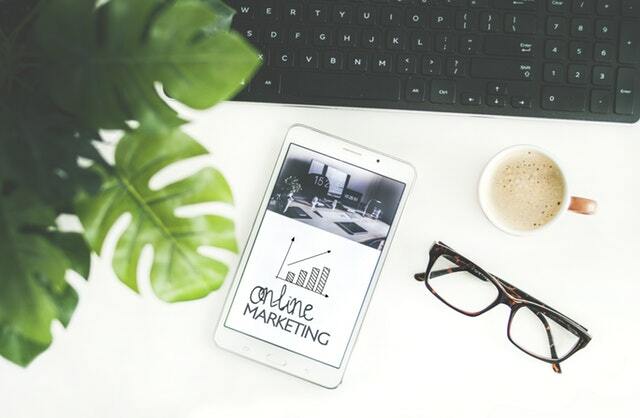 If internet marketing has taught us anything, it’s that today’s customer must be the central focus of your marketing efforts. We know what you’re thinking right now: how can the death of traditional sales techniques impact me in any way? After all, you’re not going door to door trying to get people to come to your PT clinic for their health care needs. Well, it’s not that simple. The changes that occur at a macro level in advertising and marketing can affect you dramatically. Most of them happened to keep up with customer behavior, and if you don’t change your approach, you risk being left behind. Let’s extrapolate a bit and learn what you need to do to attract patients in the digital age. People are bombarded with 5,000 ads every day. That includes stuff they receive in their emails, sponsored posts on Social Media, magazines, billboards, and any other medium that can carry an ad. Read that number again, make a mental note, and try to remember it every time you’re thinking about ways to engage prospective patients. We see more content in just one day than our grandparents saw in their lifetime. The results are not surprising: consumers started to tune these ads out and ignore them. They see the content, but they don’t pay attention it unless the ad catches their eye. They use ad blocker plugins for their web browsers to avoid online advertising as much as possible. They started to change the game, and you need to play by their rules. The behavior of consumers changed regarding how they view and respond to ads, but what does that mean for you and your physical therapy clinic? Well, it means that it isn’t as easy as it used to be to persuade prospects to purchase your services. Even when they pay attention to your ad, they know how to look for further information before making a decision. 81% of consumers conduct online research before buying, and 61% of them look at reviews before making a purchase. People don’t rush to buy something based on ads alone. They’ll look around first to find the things the ad doesn’t tell them; then they make a decision. Here’s an example: prospective patients won’t choose your services for their health care needs because they saw a nice video ad for your clinic. They need something more to make that leap, such as reading reviews about your services and looking for information about you, your staff, and your practice. So what can you do to appeal to this new, modern patient? Enter the power of content marketing. What Is Content Marketing and How Can It Help? Content marketing is a form of inbound marketing that allows you to pull in new patients naturally. The process is rather straightforward: you create content that caters to their needs, prospects consume it and then decide if they want to follow up and contact you. In a way, it’s one of the most honest forms of marketing. You’re not presenting yourself in a forever-positive light. Instead, you use content to reinforce your expertise and create a bond with potential patients. Your intentions come off as anything more than informational. They don’t feel like you’re trying to sell something; they see you as a useful resource that they can use to learn more about the things that interest them or solve their problems. Unlike traditional ads that force them to view the image of your clinic relentlessly, without offering them much else, content marketing puts the decision to opt for your service in their hands. Today’s consumers see conventional marketing practices as aggressive, particularly if they repeatedly come across ads that don’t interest them at all. Here are two perks of using inbound content instead of outdated sales practices. People don’t want to see ads when they go online. What they want is information, and you can provide it to them through content marketing. Prospects looking online for physical therapy clinics won’t settle on the one that’s nearest to them. They’ll take their time and research them thoroughly because that’s how they know how to get the best services. Through content marketing, you’re effectively appealing to their expectation. As previously stated, content marketing seems a lot more honest than any other form of advertising. That’s because the intent to sell (or attract patients) isn't aggressively stated at every turn. In fact, with content marketing, potential patients don’t feel pressure at all. Even those who read your content on a daily basis know they’re in no way obligated to rely on your services. However, they will feel like they have a relationship with your PT clinic, and that’s more important than you’d think. Picture the following scenario: all of a sudden one of your regular readers needs the services of a physical therapy clinic. It’s possible that the first name that pops into their mind will be yours, because, in a way, they already know you. With content marketing, you’ve gotten them one step closer to pick up the phone and make an appointment. First, start by making some updates to your website in case you haven’t done any recently. Your site is your physical therapy clinic business card, and one of the first things potential patients come in contact with, so you’ll need to make sure it is continuously updated. Offer a mobile version, since a lot of people prefer to use mobile devices when surfing online, and 85% of people think that the mobile version of a website should be as good or better than the desktop one. All these tweaks to your website work for one common goal, and that’s to make your practice look professional in the digital world. Potential patients care more about website performance and appearance than you’d think. It takes people about 0.05 seconds to decide if they like a website or not and if they’ll keep looking around or leave it. While your website makes you look professional, your blog can position you and your PT clinic as a leader in your niche. A blog allows you to use your medical knowledge to educate your readers, regardless if they are your patients or not. That way, people will feel like they have a better understanding of your physical therapy clinic and the services it provides. High-quality blog content can also help you bring in new visitors to your website on a regular basis. Relevant content is one of the ranking factors that Google uses to decide which websites to showcase at the top of search engine results. If your blog cuts, then you will generate more traffic and, consequently, boost our sales. with your readers in mind. That means talking about the subjects they’ll find interesting and educational, as well as avoiding complicated medical jargon as much as possible. Social media platforms represent an immensely powerful marketing tool. Not only that they can drive traffic to your website, but they also allow you to interact with potential patients directly. Create ads to bring new people to your websites; it’s a lot cheaper to run a Facebook ad than any other PPC service. Think of your social media pages as a direct link to your patients and reader, so nurture that as much as you can. Through Facebook and Twitter, people can have easy access to healthcare information, and if you show them you’re the one to ask, it won’t take long for them to make a move. The healthcare industry is no stranger to the effects of digital technologies, so it’s not that surprising they’d also change the way clinics could communicate with existing patients and attract new ones. And for your PT clinic to constantly bring in new patients to the practice, it has to stay on top of these changes. Content marketing isn’t going anywhere soon, so it’s in your best interest to start thinking of a strategy. The rewards will be worth the trouble. If you’re having a difficult time getting your practice up to date with the new rules of marketing, then the experts at PatientSites.com are here to help you. Get in touch with us today and let’s build an amazing strategy together.